If you think Vermont is only about skiing, you haven’t experienced Vermont in the Spring or Summer. Check out these Top Deals for some very good reasons to visit Vermont now. 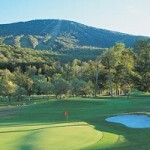 Stratton Mountain Golf Club offers 27 holes of incredible golf. Designed by Geoffrey Cornish, the club offers the Forest, the Lake, and the Mountain nines. Host to six LPGA tour events, Stratton Mountain Golf Club is one very good reason to visit Vermont now. Memberships begin as low as $149 for the Young Adult Membership (32 and under). Purchase your membership before May 13, 2016 and be eligible for a two-for-one golf school session. Head to Stowe, Vermont and The Stoweflake Mountain Resort & Spa for the perfect spring get-away. Between now and May 19th, you receive 50% off your accommodations in luxury level guestrooms or higher, starting from $129/night. Get outdoors and enjoy the mountain air. You can bike miles of mountain trails or, for something less challenging, try the 5.3 mile paved Stowe Village Recreation Path. Or head out and hike some of the 60 acres and 5 kilometers of trails right on the Stoweflake property. Looking for a more relaxing time? Take advantage of specials at Stoweflake’s world-class spa. Choose from over 120 signature healing and anti-aging remedies for the mind, body and soul. Celebrate Father’s Day between June 17 and 26 at Smugglers’ Notch and Dad (or Grandad) receive special treatment. Stay five nights or more on the SimplySmuggs, FamilyFest or Adventure Connection Vacation Package, and Dad receives a free $100 Sport Shop gift certificate, a free Country-style Breakfast on Sunday ( or breakfast for the whole family hosted by Mogul Mouse, Billy Bob Bear and the Friendly Pirate on Friday), and a free arrival gift from Cabot Creamery. For an experience unlike any other, visit the new Taconic in Manchester, Vermont. This magnificent, boutique hotel combines modern conveniences with the old-fashioned hospitality for which Vermont inns are famous. Visit this spring and receive a special $100 food and beverage credit to the hotel’s onsite restaurant, The Copper Grouse. For all the spring specials at the Taconic, visit the hotel’s website. Imagine booking your vacation and receiving money to spend while you are there! That’s exactly what Holiday Inn Club Vacations at Ascutney Mountain Resort in Brownsville, Vermont, is offering. Book a two-night minimum stay in one of the spacious villas and receive a $25 a night credit per night booked. Enjoy farm-to-table dining at The Maple Kitchen or browse the MarketPlace for a memento of your trip. Book now since this offer is only valid through the end of May. Discover the benefits of membership at The Hermitage Club in West Dover, Vermont. This 1,000 acre resort is home to four seasons of mountain activities. In winter, ski to your heart’s content on the club’s private mountain. Once you’ve hung up your skis, Hermitage offers a spectacular 18-hole golf course, nearby boating and fishing, and scheduled events throughout the year for members only. 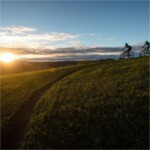 Stay at the Comfort Inn & Suites near Burke Mountain in St. Johnsbury, Vermont, and take advantage of the hotel’s Kingdom Trails Mountain Biking Package. The package includes overnight accommodations for two guests, complimentary hot breakfast buffet, two day passes to Kingdom Trails, and use of all hotel amenities including arcade, indoor pool, whirlpool, sauna, and fitness center. Kingdom Trails is an extensive, multi-use trail system in the Northeast Kingdom of Vermont. It was recognized by Bike Magazine as the Best Mountain Bike Trail in North America. Visit the historic Green Mountain Inn in Stowe, Vermont, for a stay that blends modern comforts with the traditional Vermont inn ambiance. Stay between now and May 12, 2016 and pay as little as $94 a night per room. Your rate includes lodging, full country breakfast, a VIP card for 10% off dining and massage, and afternoon tea and cookies. Enjoy the inn’s amenities including health club, game room, and fire pit, or stroll through historic Stowe Village. Stay at the magnificent Wilburton Inn in Manchester, Vermont, and save this spring. Make Mother’s Day weekend really special with a two-night stay beginning at only $375/night. In addition to your room, this special package includes a free spa bathrobe, a box of Pierre’s Chocolates, an outdoor family yoga class and a mimosa for Mom. 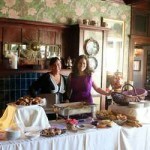 All this plus a musical Mother’s Day Sunday Brunch for two. (Kids under 4 are free and kids 5-10 are half price.) Call today for reservations. 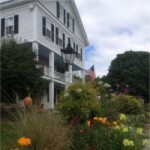 Take advantage of special spring rates to stay at the historic Grafton Inn in the quintessential Vermont village of Grafton, Vermont. 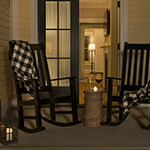 Choose from main tavern, cottages, and five guest homes. Midweek special rate of $149 per night (tax and gratuities not included) include breakfast, trail access for hiking or biking at Grafton Ponds, plus complimentary bikes for guest use. 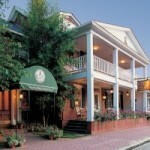 (Price is based upon one or two guests per room; add $45/night for each additional adult or child over 12 years.) This rate is only available Sunday to Thursday, May 1 – June 30, 2016. (Memorial Day excluded.) Reserve now to have your choice of accommodations. If you live or work in or near Manchester, Vermont, The Perfect Wife restaurant has an offer just for you. Make a reservation for a Thursday or Friday night in April or May and receive 50% off the cost of your entree. You will need to be able to prove you live and/or work locally when served. This offer only applies to the restaurant; the Tavern is excluded. 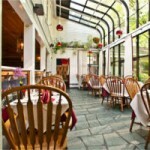 Call for reservations to 802-362-2817 and mention Vermont.com. These Top Deals won’t last forever. Take advantage of these savings today. And when you make your reservations, please mention Vermont.com. This entry was posted in Activities, Eat & Drink, Food, Now Trending, Play, Stay, Things To Do, Uncategorized on April 26, 2016 by Linda Warner.